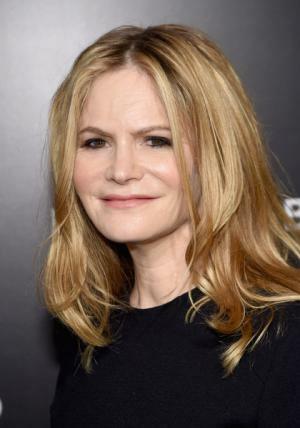 Jennifer Leigh Morrow, born on the 5th of February 1962 and known as Jennifer Jason Leigh, is an American actress, writer and director best known for her roles in the films “Single White Female”, “Georgia”, and most recently “The Hateful Eight”. So how much is Leigh’s net worth? As of 2016 it is reported by sources to be $5 million, gained mostly from her long career in Hollywood. Born in Hollywood, California, Leigh came froma talented family: her father Vic Morrow was an actor, her mother Barbara Turner was a screenwriter, and her sisters Carrie Ann Morrow and Mina Badie, are both in Hollywood too. Leigh began acting at a really young age, starting in commercials, and then television and movie productions including a bit role in the movie “Death of a Stranger”. She decided to hone her acting skills and joined the Stagedoor Manor Performing Arts Training Center in New York, led by acclaimed actor Lee Strasberg. After her training in New York, Leigh was able to book minor projects like “The Best Little Girl in the World” and the thriller “Eyes of a Stranger” in 1981, but her breakout role as a young actress came in the movie “Fast Times at Ridgemont High”, playing a pregnant teenager. Her performance in this film opened more doors and started to build her net worth. After playing teenager roles, Leigh transitioned into more mature projects and starred in movies like “Last Exit to Brooklyn” and “Miami Blues”, in which she garnered a couple of awards for her performances. In 1992, after her two award-winning movies, she once again surprised fans with her performance in the blockbuster hit “Single White Female”, playing the iconic psychotic roommate of Bridget Fonda. Another memorable performance by Leigh came in 1995 when she played the lead role in the film “Georgia”, as the drug-addicted punk rock singer character of Sadie, who is living in her sister’s shadow. Her performance both in acting and singing the songs in the movie gained her praises and even awards. The success of the movie also meant the same in her career, helping her wealth tremendously. Leigh continued to star in more movies like “Kansas City”, “Mrs. Parker and the Vicious Circle”, and “Washington Square”. She also acted on Broadway, playing in several productions including “Cabaret”, “Proof” and “Abigail’s Party” to name a few. Leigh is still active in acting, her most recent projects include the television series “Weeds” and acted in a couple of episodes in the show “Revenge”. In 2015, Leigh once again made big waves in Hollywood when she was included in Quentin Tarantino’s movie “The Hateful Eight”, playing the role of Daisy Domergue or “The Prisoner”. Her performance earned a number of nominations and awards, even getting her a first Oscar nomination. All in all, Leigh has made over fifty films, appeared in almost 30 TV productions, and well into double figures on the stage, making her one of the most respected actresses not only in Hollywood. In terms of her personal life, Leigh married director and writer Noah Baumbach in 2005; they have a son together, but divorced in 2013. 1 I think I am talented -- but I also think I'm very lucky. 2 So much of the joy of seeing Quentin [Tarantino]'s movies is just how explosively imaginative they are, and how you don't really know where things are going, and you don't really know who's who and what's what and what the truth is. 3 I remember I once went to a nutritionist who said I come from good Russian- Jewish peasant stock, which means I can hold a potato in my body for a week, if need be. 4 [1982: on the death of her father, actor Vic Morrow] I always hoped we could work together and, through that, resolve whatever needed to be resolved between us. Now that chance is lost. That's the real tragedy. 5 [1992, on Miami Blues (1990)] Working with Alec (Baldwin) was like being on a roller coaster. He's thrilling, incredibly funny, completely free, unashamed, trustful. It was one of those rare experiences where you really believe your fellow actor is the character he's playing. We didn't screw, of course, but our love scenes felt alive. 7 [1992, on Backdraft (1991)] Ron Howard was incredibly generous and patient with me. He pursued me with this role. And I failed him. Everybody had been telling me for so long that I should stop playing women who go through grueling experiences, but there was no place for me in that character. It taught me that I can't take a role I don't really connect with. 8 I think I live in this mythical world where doing the parts I do is not going to hurt me, and telling people my age is not going to hurt me. And it actually does. It's a bit sick-making but, you know, I can't change who I am. 9 I like the comparison to Johnny Depp because with him, the way he transforms himself from role to role, he's just this miraculous changeling and people really get behind it. But with me, people sometimes have a problem. 10 But in mainstream movies the woman's role is mostly just to prove that the leading man is heterosexual. I'm not good at that, and I'm not interested in that. 11 When I did Short Cuts (1993) with Robert Altman, I went up to him on the first day and said 'Hi', and he said 'Hi, how are you? Could you get me a cup of coffee?' When I brought it back, it turned out he thought I was the PA. For him, I come alive on film. As a person, I don't really register that much. I mean, he loves me, I don't take it as a cut, although you could. But he says that as a person I disappear in a way. On film, I'm very mysterious, but in life I'm very dull. I don't feel like I'm dull, but I don't put out a lot. 12 I'd much rather be in a movie that people have really strong feelings about than one that makes a hundred million dollars but you can't remember because it's just like all the others. 13 People can have so many ill-conceived ideas about me based on the parts that I play. I've had guys, when I've been single, come out of the woodwork to date me and I've found out very quickly that they were expecting some kind of whirlwind, some dramatic crazy person - and that's just not me. 14 I like a movie that the audience actively has to participate in, and not just casually observe. Whatever my part in it, just as an audience member, I find that exciting. 15 I'm a typical middle child. I'm the mediator. The one that makes everything OK, puts their own needs aside to make sure everybody's happy. It's hard to change your nature, even with years and years of therapy. 16 I just don't plan things. I live a month at a time. 17 [on her best friend, Phoebe Cates] Your best friend is the only one who would tell you the person you are in love with is a sexually ambivalent man-child. 18 I could never play the ingenue, the girl next door or the very successful young doctor. That would be a bore. 1 Counts Dog Day Afternoon (1975) as the very first movie to emotionally impact her. Though only 13-years-old when it was released, she managed to see it numerous times. 2 Gave birth to her 1st child at age 48, a son Rohmer Emmanuel Baumbach on March 17, 2010. Child's father is her now ex-husband, Noah Baumbach. 3 Was estranged from her father, Vic Morrow, at the time of his death. He left her $100 in his will. 4 Announced that she had filed for divorce from husband Noah Baumbach, citing irreconcilable differences, and is seeking spousal support and primary custody of their son Rohmer (24 November 2010). 5 Returned to work five months after giving birth to her son Rohmer in order to film her guest appearance on Weeds (2005). 6 Ex-daughter-in-law of Jonathan Baumbach. 7 Reportedly auditioned for the role of Violet in Pretty Baby (1978), but the part went to Brooke Shields instead. 8 She has received three separate career tributes - at the Telluride Film Festival in 1993, a special award for her contribution to independent cinema from the Film Society of Lincoln Center in 2002, and a week-long retrospective showing of her film work held by the American Cinematheque at Los Angeles' Egyptian Theatre in June 2001. 9 Moved in with Jack Black and Nicole Kidman during filming Margot at the Wedding (2007), because they wanted to perfect their roles as a dysfunctional family. 10 Auditioned for the role of Catwoman in Batman Returns (1992). 11 Auditioned for the Nicole Kidman role in To Die For (1995). 12 She won the role in The Hudsucker Proxy (1994) over Winona Ryder and Bridget Fonda. 13 She won the role in Washington Square (1997) over Meg Ryan and Anne Heche. 14 Dario Argento offered her the female lead in his film La sindrome di Stendhal (1996), but she turned it down. It was eventually played by his daughter Asia Argento. 15 She was one of several actresses considered by Jane Campion for the Holly Hunter role in The Piano (1993), but she was unable to meet with her because she was shooting Rush (1991) at the time. 16 She signed on for the film Spread (2009) but later backed out, and was replaced by Anne Heche. 17 Has become somewhat famous for having turned down many roles in some popular movies. She also turned down a recurring role on the TV show Lost (2004), which was eventually played by Cynthia Watros and the role of Bree on the TV series Desperate Housewives (2004), which was eventually played by Marcia Cross. 18 The song "Jennifer Jason Leigh" by the punk band J Church has lyrics made up from interview quotes. 19 Allegedly auditioned for the role of Sarah Connor in The Terminator (1984) but director James Cameron considered her too young for the part. Linda Hamilton ended up playing the part. 20 Member of the jury at the "Venice Film Festival" in the year 2000. 21 Jennifer has acted with three of the four acting Baldwin brother in five different movies: Miami Blues (1990) and Lymelife (2005) with Alec Baldwin; Last Exit to Brooklyn (1989) and Mrs. Parker and the Vicious Circle (1994) with Stephen Baldwin; and Backdraft (1991) with William Baldwin. 22 Jennifer chose her second middle name "Jason" from that of her and her father's friend, the actor Jason Robards. 23 Jennifer lived with Eric Stoltz for five years during the 80s. 24 Frequently worked with maverick director Robert Altman who, before his maverick days, worked with her father, Vic Morrow on the sixties television series Combat! (1962). 25 She is of entirely Ashkenazi Jewish descent. Her paternal grandparents, Harry Morozoff and Jean Kress, were immigrants from Russia. Her maternal grandfather, Alexander Turner, was an immigrant from Austria, and her maternal grandmother, Pearl Pauline Zises, was born in New York, to Austrian-born parents. 26 Jennifer attended the strict Stagedoor Manor summer camp in upstate New York which trains teenagers in acting, singing, and dancing. Jennifer's classmates include actor Zach Braff from NBC's Scrubs (2001), writer-director Todd Graff, and actress-singer Mandy Moore. 27 After reading the script for the movie Backdraft (1991), Jennifer reportedly told its director, Ron Howard, that she wished that she could be the fire because it has the best part. 28 Jennifer's father, actor Vic Morrow, died during the filming of the movie Twilight Zone: The Movie (1983). He was killed in a helicopter accident. 29 In 1997, Jennifer appeared in Faith No More's music video "Last Cup of Sorrow". Its plot was derived from Alfred Hitchcock's film Vertigo (1958). 30 Jennifer lost weight down to 86 pounds for her role as an anorexic teenager in the TV-movie The Best Little Girl in the World (1981). 32 Had a small part as Marion in Eyes Wide Shut (1999). However, when its director Stanley Kubrick asked Jennifer to do some re-shoots, she was not available to do that. Her entire part was reshot by Marie Richardson. 33 Well-known in Hollywood for the exhausting research she does for each of her portrayals and for her affinity of playing lurid roles. 34 Has an older sister, Carrie Ann Morrow, and a younger half-sister, actress Mina Badie. Her ex-stepfather is director Reza Badiyi. 35 Selected as one of "America's 10 Most Beautiful Women" by Harper's Bazaar Magazine, 1989. 36 Won two 1990 Critic Society awards for her portrayal of Tralala in Last Exit to Brooklyn (1989), and as Susan Waggoner in Miami Blues (1990). 37 Daughter of actor Vic Morrow and actress-screenwriter Barbara Turner. The Hateful Eight 2015 performer: "Jim Jones At Botany Bay"
Anomalisa 2015 performer: "Girls Just Want to Have Fun"
Georgia 1995 performer: "WALK ON THE WILD SIDE", "TAKE ME BACK"
Girls of the White Orchid 1983 TV Movie performer: "Finding My Own Way"
2007 Mill Valley Film Festival Award Mill Valley Film Festival Spotlight.